It's time to celebrate 50 amazing years as a city! And while Lakewood's incorporation day is technically June 24, 2019, we’re celebrating with the community all year. Lakewood's 50th Anniversary is a time to honor our community’s unique history, diverse residents, and those who laid the foundation for incorporation and paved the way for the city's sense of community, culture and inclusiveness. We’ll highlight the early families and visionary leaders, entrepreneurs, staff, volunteers, and of course, the residents who together create and strengthen the community fabric that is Lakewood. Enter the I love Lakewood photo contest and win prizes. Celebrate Lakewood's 50th Anniversary by joining the "50 and Going Strong" fitness challenge! Register and get your punch card at any Lakewood recreation center. Each person who completes 50 fitness or wellness classes (general admission or registration) by the end of the year will earn an individual prize as well as the chance to enter a drawing for big prizes such as a massage or a personal training session, among other things. The first person to complete the challenge will receive three free personal training sessions. Visit Lakewood.org/recreationcenters to find a recreation center or program to get started. The City of Lakewood and the Heritage, Culture & the Arts Division are pleased to announce the selection of the artwork for a new public art project in celebration of Lakewood’s 50th Anniversary. “Echoes and Reflections: Lakewood’s 50th Anniversary,” a large-scale installation of reflective metal sculptures by Collin Parson, will be placed at a site of historical significance in Addenbrooke Park this September. This public artwork will celebrate Lakewood’s unique history and diverse residents, those that laid the foundation for incorporation and paved the way for the city’s robust cultural community that exists today. As we celebrate 50 years of Lakewood, we can’t help but reflect on our city’s past anniversary celebrations, and the last one for Lakewood’s 40th anniversary was celebrated by picking Lakewood’s official song, tree and flower. The city launched a contest asking those who lived, worked, attended school or owned a business in Lakewood to submit nominations for an official song, tree and flower for the city. Song nominations had to create original music and lyrics, and flowers and trees had to be sustainable in our climate, drought tolerant, and be readily available for purchase. A jury of a City Council member, residents and city staff chose the winning nominations. The city’s elevation put the winning song on top while plants native to the West and already thriving in locations throughout Lakewood won as official tree and flower.. The city’s official song is “Lakewood, More Than a Mile High,” an original composition with lyrics. Tim Hoffman wrote and composed the song, which the judges noted is a catchy, toe-tapping tune with an easy-to-follow melody. It is a song that could be taught to elementary students, and it was professionally done. Download the sheet music at Lakewood.org/50, and make sure to use #Lakewood50 when performing it for your friends so we can share it. The city’s official tree is Celtis occidentalis, known both as the common hackberry and the Western hackberry. The jury noted that the hackberry is a hardwood, does well in drought and grows slowly, allowing it to better handle snow loads. It also is low maintenance, native to parts of the West, leafs out late in the spring helping it withstand spring snowstorms, and is a four-season tree providing a lacy, intricate visual even during the winter. The city’s official flower is Salvia pachyphylla, known as Mojave sage. The jury selected this nomination because it is native to the West, has two-color blooms, requires no watering or fertilizing once established, is long-lived and a humming bird magnet. 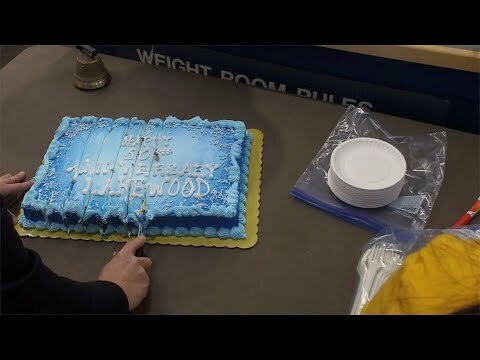 The contest created a unique way to celebrate Lakewood’s 40th anniversary, and the official selections give residents items they can call Lakewood’s to this day. Whether you’re a history buff, trivia master or art exhibit aficionado, there are opportunities for everyone to join Lakewood’s 50th Anniversary celebration! We’re using both traditional and online ways for residents to participate in Lakewood’s 50th Anniversary to make sure anyone and everyone is included. Participate in the digital time capsule: Help make history by telling future residents and leaders what’s important with an entry to the digital time capsule for 2069. Take part in weekly trivia questions about Lakewood. Receive a prize by completing the historical scavenger hunt. Read about Lakewood’s incorporation back in 1969. Watch videos covering the city’s history. Learn about the “50 Objects for Lakewood's 50th Anniversary” project, making the city’s museum items available for viewing online. Be on the lookout for surprise pop-up parties around Lakewood with cake and giveaways. Visit the Lakewood Heritage Center at 801 S. Yarrow St. every month for a new special exhibit about Lakewood’s incorporation in 1969. Participate in hands-on farming activities, see photos of favorite 1970s restaurants and listen to audio histories of former Lakewood mayors. Check out “Three Views: Contemporary Work by Two Generations of Lakewood Artists Charles Parson, Collin Parson and Devon Parson,” a Lakewood family kicking off the 50th anniversary art exhibition series. Snag giveaways at your favorite annual city events like Cider Days, Rockin’ Block Party, Earth Day, Lakewood Lights, Big Boom Bash and more. Join the celebration on Facebook, Twitter and Instagram using #Lakewood50. See what’s trending, keep an eye out for contests and show us how you’re celebrating by uploading a photo or video using the celebration hashtag on your social media. And there’s no need to wait – there’s plenty of celebration to do now! For Lakewood’s 50th Anniversary celebration, we’re bringing the party to you! Beginning in January 2019, we will be throwing Pop-up Parties in the community to surprise and dazzle residents when they least expect it. You never know where we will pop up. It could be at the Bear Creek Lake Park swim beach, on stage at the Lakewood Cultural Center, or maybe even in your office. Just be ready for a quick 20-minute celebration – anywhere! Sounds like a good time, right? We hope so! Keep an eye out for these unexpected, whimsical, and offbeat parties, and don’t forget to share photos and videos on your Facebook, Twitter and Instagram using #Lakewood50. Why are we celebrating Lakewood's 50th Anniversary? Planning for Lakewood's 50th Anniversary began during the spring of 2015, when the Lakewood Advisory Commission made recommendations to City Council about this upcoming milestone. The Lakewood Advisory Commission consists of residents with a mission to support a vibrant and inclusive community by conducting research and providing recommendations on local issues to City Council. Online engagement opportunities including weekly Lakewood Trivia, scavenger hunts, and more! 50th related themes and giveaways at your favorite annual city events, like Cider Days, Rockin’ Block Party, Lakewood Lights and Big Boom Bash. Now that you know a little more about why we are celebrating Lakewood's 50th Anniversary and what activities you can look forward to, we hope you'll join the fun. When the city of Lakewood was incorporated almost 50 years ago in 1969, it was a remarkable task of weaving a community together from neighborhoods with a strong sense of identity founded on decades of residents working together to build schools, lay pipelines or install other improvements for themselves. The name Lakewood originated long before the city existed, and it came from a subdivision that William Loveland, owner of the Colorado Central Railroad, established in 1889 near West Colfax Avenue and Harlan Street. In the early years, residents in the area ranched, raised turkeys and operated dairies. In the 1940s, the federal government acquired the land now known as the Federal Center, and in the decades that followed, agriculture gave way to neighborhoods, each establishing a sense of pride. Several efforts to incorporate into a city occurred in the 1940s and 1950s, but they failed. In 1969, fears of annexation to Denver and a lack of law enforcement resources began to concern residents, now numbering over 90,000. Boundaries for a new city were drawn on a basement pingpong table in the home of James Jeff "Jim" Richey, chairman of the Citizens for Incorporation. In June 1969, those living in neighborhoods such as Alameda, Green Mountain, Bear Creek, Applewood and Lakewood voted by more than a two-to-one margin to create a city, one of the largest incorporations of its time. Richey became mayor, but the City Council had to find offices and supplies on a shoestring budget. The city's name was soon changed from Jefferson City to Lakewood after residents favored that name in an advisory vote to the City Council, which changed the name by resolution. From the beginning, Lakewood's growth was positive, progressive and visionary. The Police Department became one of the first ever to require its agents to have a college degree. In 1983, Lakewood residents approved a city charter, which is essentially the city's constitution. What started as ranchland, turkey farms and early subdivisions of homes has become one of the largest cities in Colorado with more than 44-square miles and a population of just over 150,000. Lakewood is the third largest city in the Denver metro area and the fifth largest city in the state of Colorado. One-quarter of Lakewood’s land is dedicated to parks and open space, and the city has several major employment centers such as the Federal Center, Academy Park, Union Boulevard and the St. Anthony Medical Campus. Residents are also served by several special districts for water, sewer, fire and schools, all remnants from the early days when residents banded together to create services for themselves before the city existed. To help preserve Lakewood's history, the Lakewood Heritage Center is home to more than 30,000 historical objects and more than 8,000 historical photographs. These artifacts and photographs tell the story of the Lakewood, Jefferson County, the state and national and world events as they relate to Lakewood residents. These artifacts cover, but are not limited to, the history of 20th century business and technology, textiles and personal artifacts, toys, military life, domestic life and material culture. You can learn more about this important community amenity by visiting Lakewood.org/HeritageCenter. If you enjoy a brain-busting question like we do, make sure you visit this site every Monday to answer a Lakewood-related trivia question in the section labeled "Weekly trivia." These weekly quizzes will include questions on Lakewood's incorporation, history, city services, community hot spots and more. Q: Who was the first mayor of Lakewood? A: James Jeff "Jim" Richey. Q: How many patrol agents did the Lakewood Police Department have when it was first established in 1970? Q: How many square miles was Lakewood after incorporation in 1969? Q: How many large plow trucks does Street Maintenance operate during any given snow storm? Q: What did the Belmar area replace before becoming Belmar? A: The Villa Italia Mall. Q: How many tennis courts does the City have? Q: On average, how many performances and events are held in the Lakewood Cultural Center theater each year? Q: How many creeks are in Bear Creek Lake Park? No question in observance of the holiday. Q: How many pages was the original city of Lakewood budget? Q: How many neighborhoods in Lakewood are certified as Outstanding Sustainable Neighborhoods? A: Eight neighborhoods. The Sustainable Neighborhoods Program started in Lakewood in 2012 as a way to encourage and support community sustainability projects. The eight Outstanding neighborhoods are Applewood, Belmar, Eiber, Green Mountain, Lake Lochwood Village, Morse Park, South of 6th and Southern Gables. Neighborhood volunteers working in the program have engaged over 13,000 Lakewood residents through workshops, events and projects. Q: How many parks are included in the 40West ArtLine? A: Three parks: Mountair, Aviation and Walker Branch parks. Q: Which was the city’s first park? Q: In what year did the city start using smartphones to better support the community? A: The answer is 2010. City Council members first started using smartphones in 2010, using the iPhone 3 model; since then, the city has continued to ensure that technology is a key consideration in how we support the Community. Q: What was the Lakewood Police Department previously known as? A: The answer is Lakewood Department of Public Safety. Q: What year did the Lakewood Cultural Center open? A: The answer is 2000. Q: How many city halls have there been since the city incorporated? Q: Where was the 1st City Council meetings held? A: The answer is Lakewood High School. Q: How many objects are in the Lakewood Heritage Center's museum collection? A: The answer is 40,000-50,000. Q: Where was the badge located on the first Lakewood Police uniforms? A: The answer is it was carried in their wallet, so there was no badge on the uniform shirt. In the yard behind the Stone House, what activity are the two statues participating in? A: The answer is fishing. Q: What animal is there a sign warning patrons about in Mountainside Park? Q: Where was the 1st City Hall located? Where was the first City Hall located? Lakewood Loves Trees is a tree planting initiative in honor of Lakewood’s 50th Anniversary. We are encouraging Lakewood residents to plant a tree for the future 50 years of benefits to your home and your community. We will be offering discounted trees and resources for planting and care as part of this initiative. Click here to learn more and order a tree! Click here to play video I Love Lakewood - Allysen We’re celebrating Lakewood’s 50th Anniversary and we can think of no better experts and spokespeople than our residents to highlight the things that make our city so great. Find out why Allysen loves Lakewood in this video. 50th Anniversary public participation website launches. Lakewood's 50th Anniversary celebration begins! Residents were asked to tell us what they love about Lakewood for the chance to be featured in an upcoming “I Love Lakewood” video. The 50th anniversary digital time capsule opens and residents are invited to send a message to the future. Visit the Lakewood Cultural Center Corner Gallery located at 470 S. Allison Parkway to look through Lakewood's past. Visit the Lakewood Heritage Center located at 801 S. Yarrow St. every month for a new special exhibit related to the incorporation of the city of Lakewood in 1969. Hands-on farming activities, photos of your favorite 1970s restaurants and audio histories of former Lakewood mayors will all be available for the community. You can also view the 50 objects online. Visit the Lakewood Cultural Center Corner Gallery located at 470 S. Allison Parkway to see historical photos over the past 50 years. We asked residents what they love about Lakewood and selected four to be featured in “I Love Lakewood” videos. Their videos will be posted to this site the week of Feb. 11-15, 2019. The I love Lakewood photo contest launches and residents are invited to submit their best snapshots. Join the Lakewood Branch of the American Association of University Women (AAUW) to hear Mayor Adam Paul and former mayors including: Linda Shaw, Linda Morton, Steve Burkholder, and Bob Murphy share insights and highlights of their tenure as well as predictions on Lakewood’s future. This is a great opportunity for everyone to celebrate and learn about Lakewood’s history from the mayors. Come early and enjoy a piece of anniversary cake. Where: Holy Shepherd Church, 920 Kipling St, Lakewood, CO 80215. A live-request theatrical concert featuring the music, energy and spirit of most influential band of the 1960s. Details at Lakewood.org/LCCPresents. A free community event celebrating sustainability in Lakewood. Details at Lakewood.org/EarthDay. A fun and educational living history experience. Details coming soon. A free block party with 1960s-themed live music and a movie under the stars. Details coming soon. Celebrate Lakewood’s 50th Anniversary of city incorporation with a look back at life in 1969! Immerse yourself with clothes and music of the time, while enjoying some fabulous local photographs and political archives at the free gallery opening reception from 5 to 7 p.m., Thursday, June 27 at the Lakewood Heritage Center located at 801 S. Yarrow St.
An outdoor concert series on six Wednesday evenings (June 19 and 26; July 10, 17, 24 and 31) at the Bonfils-Stanton Foundation Amphitheater, the area’s most picturesque concert venue. Details coming soon. A Fourth of July celebration and fireworks display hosted by the city of Lakewood. Details coming soon. An annual community-building campaign that promotes police-community partnerships and neighborhood camaraderie to make our neighborhoods safer and more caring places to live. Details coming soon. A free summer sendoff celebration with music, buskers, games and activities. Details coming soon. A celebration of Lakewood’s agricultural heritage with an entertaining mix of live performances, activities and tasty harvest treats. Details coming soon. Holiday light displays, Mayor’s tree lighting ceremony, wagon rides, live music, photos with Santa, crafts and more. Details coming soon. View 50 objects from the permanent collection that are significant to the city's history and relate to the museum’s interpretive themes. Our first 50th Anniversary Pop-up Party was at the Carmody Recreation Center. You never know where we will pop up. Just be ready for a quick 20-minute celebration – anywhere!